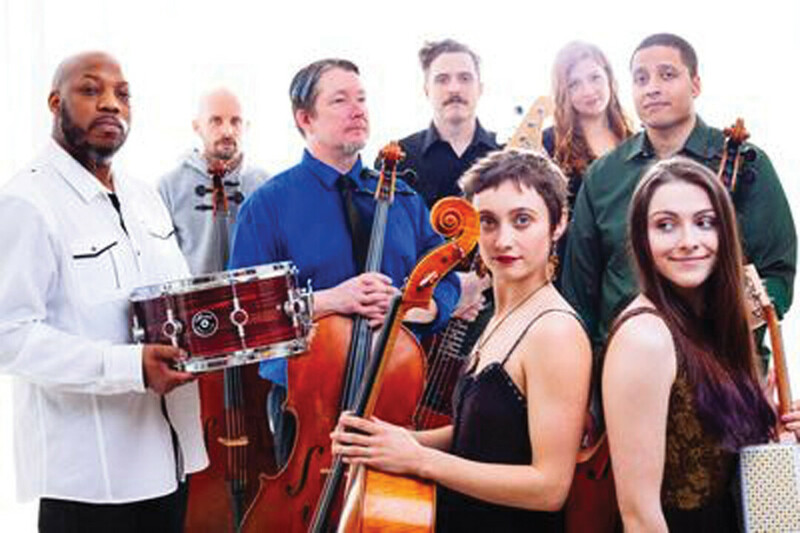 In the fall of 2006 a group of 9 cellists got on stage at Portland’s Doug Fir Lounge to perform western classical music in an informal setting. Many of the cellists that night thought it would only happen once. But slowly that one-off event became a second, and a third, cellists joined and left and rejoined the group again, to perform in Portland's most popular clubs. By 2009 the group had evolved into a nationally-recognized performing, recording and educational group with a revolving cast of cellists. Cello Project (or PCP as their fans affectionately call them) were quickly appearing anywhere and everywhere in North America, from punk rock clubs to symphony halls, from street parties to exclusive private events. By 2010 self-described horde of cellos were spending more than a quarter of the year touring, featuring a diverse repertoire that quickly ballooned to over 1,000 pieces of music. First, to bring the cello places you wouldn't normally see it (from wild dance parties, to formal symphony halls, to street parties, to Millennium Park in Chicago...). Second, to perform music on the cello you wouldn't normally associate with the instrument alongside music from the Western Classical Tradition (from Pantera to Taylor Swift to Kanye West to Elliott Smith, alongside Bach, Rossini, and Saint-Saens, to name just a few...). Third, to build bridges between different musical communities through educational, community outreach, and through collaboration with myriad artists, from The Dandy Warhols to Garrison Keillor to Ural Thomas to Corin Tucker (Sleater-Kinney) to Jolie Holland to Peter Yarrow (Peter, Paul and Mary), among many others, and cellists such as Ben Sollee, Maya Beiser and Zoe Keating.